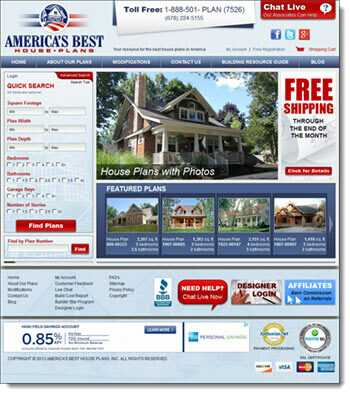 They call themselves America's Best House Plans, because that is exactly what they offer. Their collection of home plans is derived from the nation's best architects and home designers. With their extensive collection of house plans, garage plans, floor plans, and home designs they are sure you will find the plan that fits your every need.